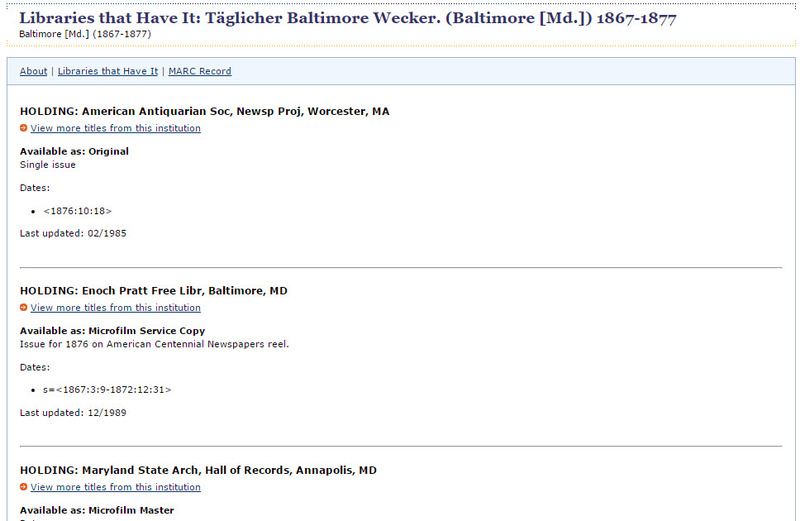 My family tree includes a large German heritage that settled in Baltimore in the mid-1800s. As such, when doing newspaper research I often consult Der Deutsche Correspondent, hosted on Chronicling America, for my German folks. Here is yet one more example of why you should look in multiple papers for news items. Back in 2013 I came across the following article in the Baltimore Sun about my 2nd great grandmother. This article has pretty good detail of the event. There is no more to find out. Or at least that is what I thought at the time. Since my Italian immigrant 2nd great-grandfather ran a fruit shop, I had come across numerous advertisements in Der Deutsche Correspondent for his shop. So numerous in fact that I thought that I was beginning to think that was all I would find. I persisted and it paid off! I eventually found the article below. 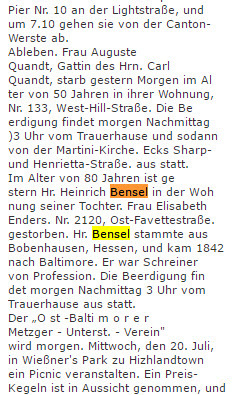 I don’t read German, but I was able to pick out the address in the article and knew this was probably my 2nd great grandmother. 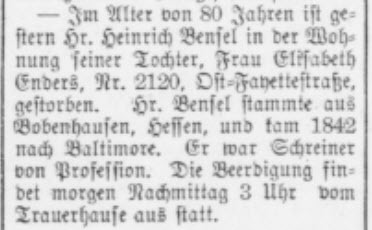 Checking the date of the newspaper mentions I had for her from the Baltimore Sun, I realized this was probably the same article I found there, just in German. But, I saw what looked like the mention of a doctor, promptly posted to the Genealogy Translations group on Facebook and impatiently waited about 15 whole minutes before I got a translation back. partially on to the desk at which her husband was working. This version of the event answers one question I had when I found the article in the Sun…”what the heck was she doing on the roof?” I also get a visual of her running across the roof to catch her hat. And they had a maid? There are some discrepancies. Did she fall into some shelves? Or did she fall onto Massimo’s desk? Either way, it seems she was very lucky that she wasn’t hurt worse. She could have broken her neck and died, or gotten a deadly infection from the cuts. As this event happened 15 years before the birth of my great-grandfather, it could have drastically changed our family. 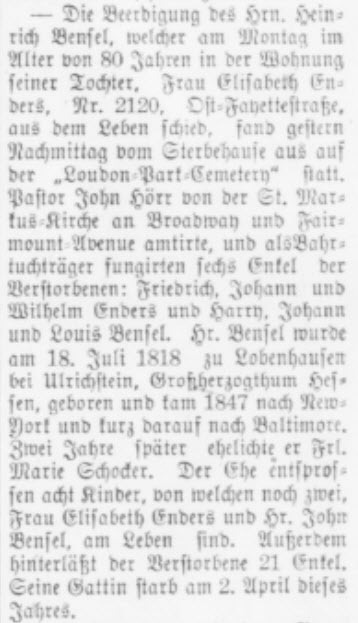 After looking at a map, although my 2nd great-grandmother was a German immigrant and I had found several members of her family in Der Deutsche Correspondent, I believe this event was covered in the German paper because it was unusual. And because of proximity. The location of the shop at 141 W. Baltimore Street is now 209 E. Baltimore Street, 2 blocks from the location of the paper’s building at E. Baltimore and Post Office Avenue (now Customs House Avenue). I imagine that at that time, the event would have attracted some attention and word may have gotten to the paper’s office just down the street. Maybe a reporter picked up pencil and paper and ran the 2 blocks to get “the scoop”. Or maybe not. Either way, between the two articles I now have a richer description of what happened on the day my 2nd great-grandmother fell through a skylight. With my mother’s move to Florida I inherited a bunch of family “stuff”. I got several pieces of furniture, an old trunk, glassware and even my 2nd great-grandmother’s spittoon. I also got newspaper clippings, framed pictures and photo albums. One of the pictures is a class photo of Sparks High School in 1937. Sparks High School was located in Sparks, Baltimore County, Maryland. The original school, which opened in 1909, was named Agricultural High School. Around 1920 the name was changed to Sparks High School and in 1953 the school was converted to an elementary school and Hereford High School opened. My maternal grandmother Margaret Adelina Pisani is in the 3rd row, 4th from the right (she was 16, and depending on exactly when the photo was taken, perhaps pregnant with her first child). The defiant looking lad in the middle of the front row is my great uncle Charles Angelo Pisani (age 17). The back of the cardboard photo frame has a handwritten list of everyone in the photo. All names below are spelled as-is from the photo. 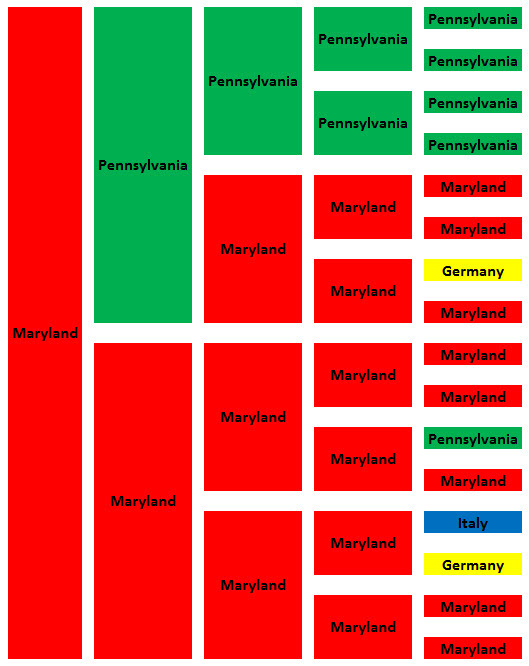 As I have mentioned before, much of my research is in Maryland. 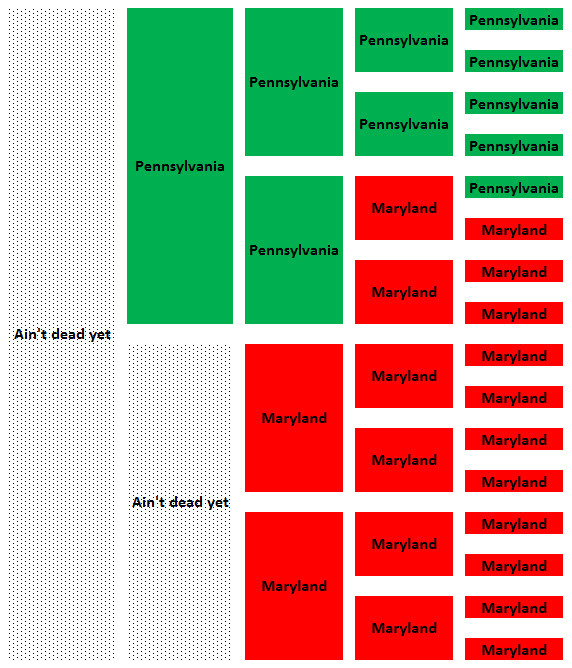 In Maryland, all land records are on-line. That makes finding specific locations for my ancestors’ homes and businesses a little easier since it can be done from home. 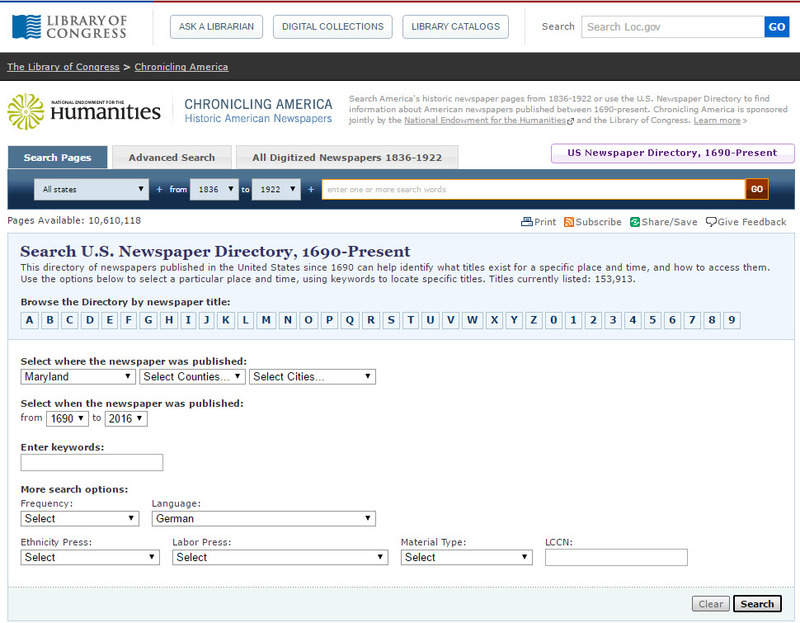 There are a lot of tools out there, free and paid, to help plot the information found in the deeds available on-line. But for my 5th great-grandfather Joshua Whitaker, someone else did much of the work, I just reap the rewards of his hard work! If you have an early landowner in Baltimore or Harford County, Maryland you may want to check this out as well. My original search involved searching https://mdlandrec.net/main/ for land records for Joshua Whitaker. Joshua was born in 1761, probably in Baltimore County, Maryland since Harford County was not formed until 1774. Joshua married Ruth Howard in 1781 at about aged 20, so I assumed I should start searching for him in the Harford County land records around 1780 or so. I found several deeds for Joshua Whitaker and I attempted to plot them out. Earlier land records are harder to plot (in my opinion) because the property line references are defined very differently than today. Many times the property lines are defined as a tree line or the edge of a stream, not necessarily as bearings and distances like they are now. So my progress was S-L-O-W.
My Joshua died in 1818 so the 1819 certificate was a head scratcher. But it was possible that the Equity Record could be for him. Time to look at the actual documents. The document contained 9 pages but I will highlight 2 of them here. Looking at the 1st image of the Patented Certificate it was possible that this was my Joshua. It was surveyed in 1815 and passed in 1816. Source: Harford County Circuit Court (Certificates, Patented, HA) Patented Certificate 878, MSA_S1199_892, page 1 of 9. Source: Harford County Circuit Court (Certificates, Patented, HA) Patented Certificate 878, MSA_S1199_892, page 3 of 9. Then I looked at the Equity Record. I know from Joshua’s will that his property was to be divided between his wife and several of his children. Source: Harford County Circuit Court (Plats on Microfilm, HA Index) Equity Record ALJ 18, p. 279. MSA_S1540_1495. Cool! The basic outline of the 2 records match. And, referring back to the will, this is my Joshua. So now I have a plot of the land that Joshua Whitaker owned but it will take a lot of work to put Joshua’s land on a current map to see exactly where this land was. For a while I tried using the land records going forward in time to plot Joshua’s land in today’s landscape. It was frustrating and I was mostly unsuccessful. And then I stumbled upon a simple looking ABSOLUTELY WONDERFUL website. One of the pieces of software I use to plot land is called DeedMapper from Direct Line Software. Besides the software, their site includes a Research Directory (so you can see others researching land records in an area) and a Deed Data Pool (customer contributed deed files). 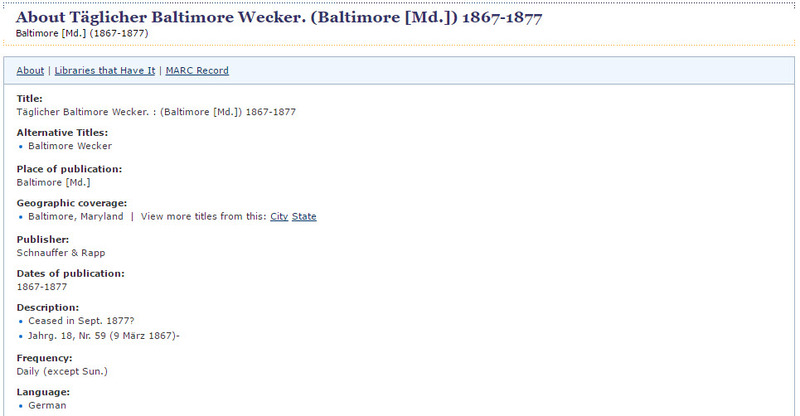 In looking at the Deed Data Pool I found a Baltimore County and a Harford County file contributed by Mike Pierce. Clicking on the Harford County file led me to a page containing the Deed Mapper file for Harford County. This was great because it allowed me to download the file and open it in the DeedMapper program with a background map. But the really great part was when I went back to the base web address http://map-maker.org/ and saw everything Mike Pierce’s “The Happy Map-Maker’s Website”. This site includes searching aids for Baltimore County and City, his aforementioned DeedMapper files, information on leases and land grants in Baltimore and Harford Counties and an animated progression of land grants in said counties. GREAT resources. But the pièce de résistance is a Google Earth version of the Baltimore and Harford County leases and land grants. AAAAHHHHH! Since Google Earth is one of my most favorite tools, this is awesome! So I opened the Harford County patents, downloaded the file and opened the KML file in Google Earth. At first look the file is very busy and looks hard to navigate. But by using the tools available in Google Earth I was able to isolate Joshua’s 1819 land patent. This allowed me to export just Joshua’s land as a KMZ file and create standalone map placing Joshua’s land in today’s world.